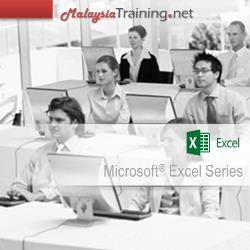 Anyone who needs to work with Microsoft Excel in order to connect to external data and then process, analyse and display the data in order to produce suitable output at all levels within an organisation. Attendees on the course will be existing users of Microsoft Excel 2010 or 2013 who are new to Power Query and whose role requires the use of data tools for analysis purposes. Register before 17 Feb 2019 for RM1,200 discount per person. Register before 12 Apr 2019 for RM1,200 discount per person. Register before 16 Jun 2019 for RM1,200 discount per person. Register before 09 Aug 2019 for RM1,200 discount per person. Register before 06 Oct 2019 for RM1,200 discount per person. Microsoft Excel Power Query technology enhances the self-service business analytics experience in Excel by simplifying data discovery, access and collaboration. Power Query for Microsoft Excel functioned as an Excel add-in that can be downloaded and installed on Excel 2010 and 2013. When comes to data transformation, Power Query can be a good alternative to VBA as it does not require programming effort. Delegates should be proficient users of Excel and be familiar with PivotTables.